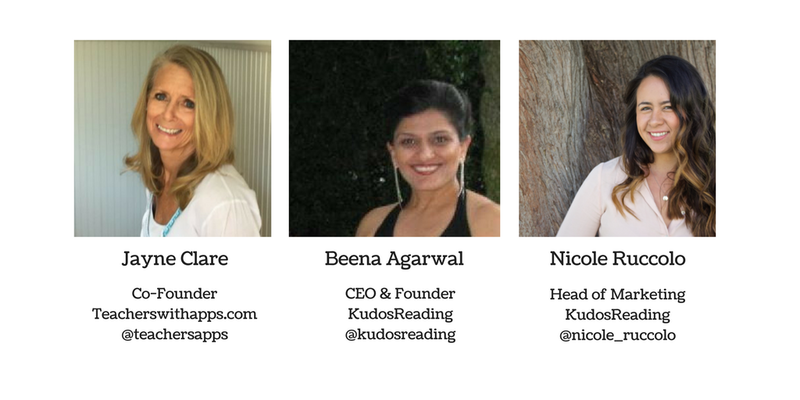 Want to learn more about KudosReading and what we are doing in the classroom. Checkout our Facebook interview with TeacherswithApps.com. Jayne, TeacherswithApps Welcome Beena and Nicole! Beena, KudosReading Thanks Jayne! 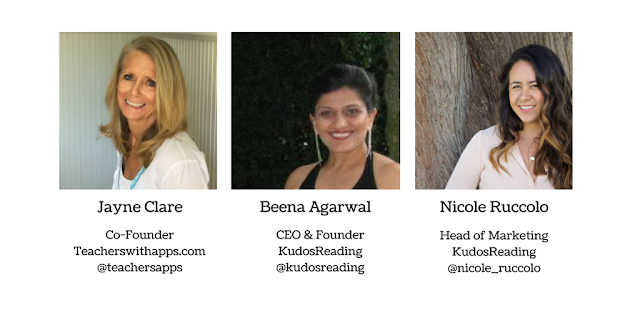 Hi everyone, we're excited to talk about fostering a love of reading in grades 4-12 with KudosReading. Classrooms that are using it have reported an increse in reading levels by two grade levels. We started this because we saw first hand the challenges that teachers in the classroom encouraging reading. Beena, KudosReading Absolutely, personalization is very important as every kid is at a different level and have different interests. We help teachers hold book group discussions and evaluate against standards, as well as, hold students accountable for independent reading. Yevel, Bel Math Apps I read your website, KudosReading has 3 goals: Read, Learn & PLay. May I ask you to be more specific about these 3 parts? Beena, KudosReading Sure, as students read books they learn and discuss the concepts they've learned in the book. As they do that they gain Kudos Points and level up and gain skills. They also get to create their own games and play them as they progress. Jayne, TeacherswithApps And the gaming is such an important factor for some kids, they need the leveling up factor. Beena, KudosReading Yes its about mastery and autonomy - when kids get to choos and make progress their engagement is amazing. Sandhya, literacy content writer I'd love to know more about your development process - how were teachers involved in your development and do you provide book lists by grade with companion content? Beena, KudosReading Sandhya sure, we worked closely with 20 teachers to develop this. We started with being in the classroom ourselves, interviewing over 50 teachers to understand their challenges. We then built a pilot and tested it in several classrooms and iteratied through it. Irmgard, educator Is there a vocabulary component to it? I just signed up but did not look at everything fast enough to look at all the features. Beena, KudosReading Irmgard glad you asked. Yes there is a vocabulary component. As kids are reading they can add words and definitions that they learned in the book. Nicole, KudosReading Teachers can add their own vocabulary lists or students can create their own vocab lists which in turn creates vocabulary games in the app. Irmgard, educator Would this app support struggling readers as well? Especially ones that are far below grade level. To see the full conversation, as well as, learn more about technology in the classroom check out #edapptalk and request your invite. KudosReading supports educators in the classroom lead, track and engage reading in their classroom. The app uses an interactive approach with social and gamefication elements that make reading fun. Teachers can track reading, personalize book clubs and challenge both avid and reluctant readers. 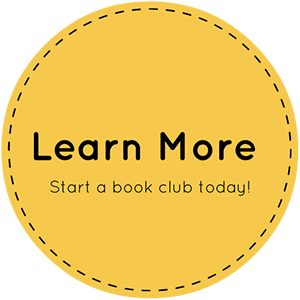 Start you first book club today! Teacherswithapps (TWA) is a resource for teachers, parents, therapists and students edit through the vast number of educational apps. TeacherswithApps field-tests every app with a cross-selection of students/teachers as part of the review process. 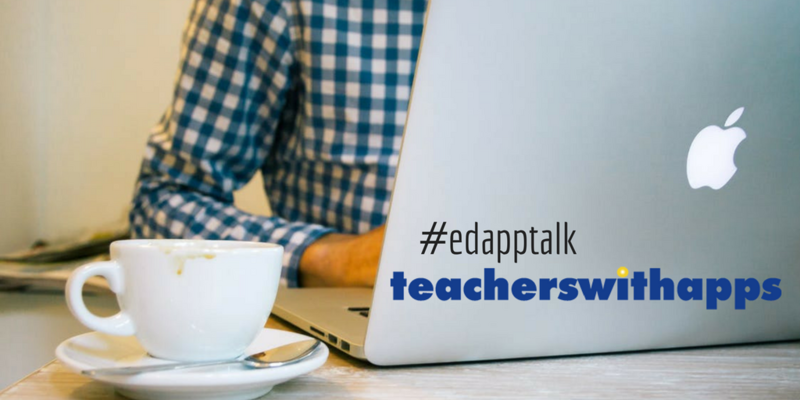 TWA hosts a social chat on Facebook called #edapptalk where they feature the latest education technology.